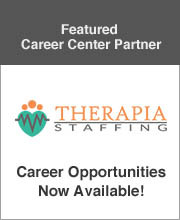 DESCRIPTION: Awesome opportunity for a SLP to work in the Stratford,CT area !! Hiring immediately!! APPLY NOW or call today for more information at 866-757-1272! The Stepping Stones Group is currently interviewing school-based Speech Language Pathologists for the 18/19 & 19/20 SY in Bridgeport, CT! This is full time, serving grades PreK-12, with full clinical support. New grads welcome to apply!